One of the functions of a commission of inquiry is to gather information from a variety of sources. Sometimes the volume of material can be considerable, as it was in the case of the royal commission on Auckland governance. 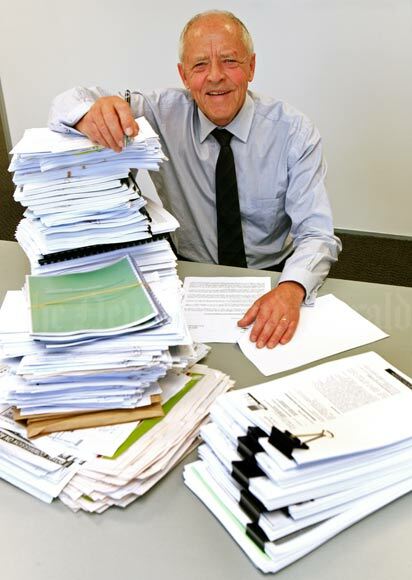 Chairman Peter Salmon is pictured with the hundreds of written submissions received by the cut-off date of 22 April 2008.